Global Health Diplomacy (GHD) is a field of growing importance in light of the transboundary nature of health challenges and the Sustainable Development Goals’ commitment to Universal Health Coverage. Bringing together Diplomatic Studies and Global Health expertise, the Department has established a new accredited course on Global Health Diplomacy for those working or considering working in this field. The course is designed both for those with knowledge and experience of diplomacy or international development (with governments, civil society or elsewhere) and for health care and allied professionals. The course aims to provide both a theoretical and practical framework, equipping participants to engage effectively in global health diplomatic negotiations and to maximise the impact of those negotiations on the delivery and sustainability of global health initiatives and policy. The curriculum will take account of the drive for more concerted policy responses to reduce global health threats and to improve governance of health systems, aware of the socio-economic correlation between health, poverty alleviation and development and the effect that rising public health care costs has on fiscal policies and national budgets. The Sustainable Development Goals (SDGs), adopted in 2015, ambitiously call for Universal Health Coverage (UHC) by 2030 and so have propelled UHC to the top of the global health agenda. Effective GHD is essential to the realisation of UHC. In particular, there is an increased need to facilitate collaboration between a diverse set of stakeholders and to create and sustain health partnerships that will deliver cost-effective, evidence-based and timely responses to international health challenges. 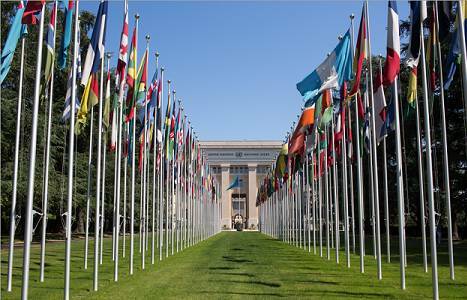 At the same time, as global health has risen up the multilateral agenda, diplomats and others need to understand and ensure optimal outcomes to Global Health Diplomacy negotiations not only at the World Health Organisation but at the United Nations and other global and regional multilateral organisations. 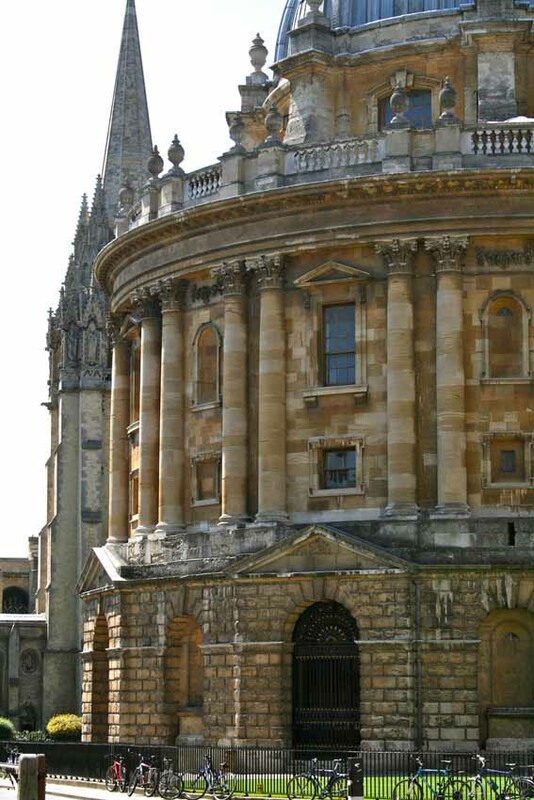 The course consists of a week in Oxford from 8 to 12 July and some pre-course preparation will be required before this. After the week in Oxford you will then take part in online discussions through the course Virtual Learning Environment. All participants will be given a list of relevant resources (websites, papers, videos etc). This will be accompanied by a series of online discussions to enable them to critically evaluate these resources systematically. The subjects are outlined in the schedule below and will include presentations from the course tutors and invited international speakers, interactive seminars, small group study, a simulated panel exercise and course work undertaken by the participants, leading to a presentation at the end of the week. The final day in Oxford will involve attendance at the Conference on Challenges In Global Health Diplomacy, held in the iconic Richard Doll Lecture Theatre. The topics of the 8 timetabled sessions on the programme will be further explored via an asynchronous online discussion managed through the course VLE (Virtual Learning Environment). These will be moderated by an assigned tutor. Delegates are advised to arrive in Oxford on Sunday 7th July, to ensure that they are able to attend the programme of teaching and interactive workshops beginning Monday 8th July. Monday 8th July (Rewley House, Oxford University Department for Continuing Education). Introduction to Global Health Diplomacy policy frameworks, exploring the impact that each framework may have on approaches to, expectations of and outcomes from GHD. Introduction to the global health landscape, WHO World Health Statistics & Monitoring Health for Sustainable Development Goals (SDGs), 2018. Tuesday 9th July (Rewley House, OUDCE). Health equity, Universal Health Coverage (UHC), Sustainable Development Goals (SDGs) and the role of Global Health Diplomacy. Simulated panel exercise led by Dr Ala Din Abdul Sahib Alwan, Region Director, WHO. Wednesday 10th July (Rewley House, OUDCE). Decision-making and risk taking in Global Health Diplomacy. Working in public-private partnerships to further Sustainable Development Goals and Universal Health Coverage: Case study of kidney and corneal transplants from Guyana and Suriname. Course dinner and networking event. Thursday 11th July (Rewley House, OUDCE). Health Diplomacy & Human Security. Collaboration between stakeholders in sustaining medical services during times of conflict and humanitarian response. Conference on Challenges in Global Health Diplomacy. Kate Jones is Director of Oxford University’s Diplomatic Studies Programme, which offers postgraduate degrees in Diplomatic Studies that for many years have brought early- and mid-career diplomats to Oxford from all over the world. She teaches all aspects of Diplomatic Practice. Kate is also a member of Oxford University’s Law Faculty and conducts teaching and research in public international law and human rights law. Her publications focus on counter-terrorism, human rights and sanctions law. Lyndsay Baines has a background in medical sociology and psychology and specialises in global health diplomacy and the psychosocial aspects of civilian and military trauma. As an early stage researcher, Dr Baines was embedded with the solid organ transplant team at the Western Infirmary, Glasgow, where she established one of the first ward based counselling services for organ transplant patients. Dr Baines continues her research into psychosocial aspects of solid organ transplant, digital healthcare and patient engagement at Imperial Healthcare NHS Trust. During Operation Iraqi Freedom, New Dawn and Enduring Freedom, Dr Baines relocated to the United States, where she worked for The Henry M. Jackson Foundation, based with the Combat Wounds Team at Walter Reed Army Medical Center, Washington, DC. Her role included working with wounded veterans and their families returning from the wars in Iraq and Afghanistan. Dr Baines continues her research collaboration pertaining to global health diplomacy and human security as director of the global mental health programme at Uniformed Services University. David Kerr contributes to Oxford as Professor of Cancer Medicine, where he has worked with colleagues to build a new Institute for Cancer Medicine and Cancer Hospital. He is also Adjunct Prof of Medicine at Weill-Cornell College of Medicine, NY and Honorary Professor of Oncology at the 2nd Military University, Shanghai and Xiamen University. He has an international reputation for the treatment of and research into colorectal cancer and the quality of his work has been recognised by the award of several international prizes and the first NHS Nye-Bevan award for innovation. He has published over 400 papers and has an H-Index of 80 associated with over 25,000 citations. He has founded 3 University spin outs; COBRA therapeutics, Celleron Therapeutics and Oxford Cancer Biomarkers. He has made a significant contribution to reforming the NHS as a Founding Commissioner for Health Improvement; Chair of the National Cancer Services Collaborative, Instigator of the Department of Health’s networked approach to clinical cancer research and developed a 20 year plan for the future of the NHS in Scotland, the “Kerr Report”. Participants attending the taught course and successfully completing assessed assignments are eligible to earn 20 CATS-equivalent points which may be counted towards a postgraduate qualification. Accommodation is not covered in the course fee and is the responsibility of participants. Oxford has a large number of guest houses and hotels. Limited accommodation may be available to early applicants at the Rewley House Residential Centre, within the Department for Continuing Education, in central Oxford and walkable to the course venues. The comfortable, en-suite, study-bedrooms have been rated as 4-Star Campus accommodation under the Quality In Tourism scheme, and come with tea- and coffee-making facilities, free Wi-Fi access and Freeview TV. Guests can take advantage of the excellent dining facilities and common room bar, where they may relax and network with others on the programme. This course uses the Department’s online assignment submission system and online courseware. In order to participate in the course, and to prepare and submit your course assignment you will need access to the Internet and a computer meeting our recommended minimum computer specification. Payment is not required at the time of application. Once a provisional place on the course has been offered, an invoice will be issued with full details of how to pay. This course is designed to provide a comprehensive overview of GHD and to equip participants with a new skill set to engage in such multi-level, multi-stakeholder negotiation processes and measure the impact of their interventions. In focusing on multi-stakeholder approaches, it differs from existing GHD courses which tend largely to focus on multilateral State-based negotiation. Demonstrate systematic understanding of how health can be conceptualised within foreign policy frameworks, and the impact of those frameworks on approaches to global health diplomacy (GHD). Situate GHD activities within the global health and multilateral diplomatic landscapes, demonstrating understanding of the roles of international organisations, governments, health professionals and civil society within those landscapes. Synthesise global health priorities and the contributions of cross disciplinary stakeholders while demonstrating awareness of relevant ethical and cultural issues, using them for the purposes of GHD including health negotiation. Evaluate the role of GHD in facilitating multi-stakeholder collaboration towards the delivery of universal health coverage detailed in Sustainable Development Goal 3.8, including in situations of conflict and humanitarian crisis. Formative assessment will occur both during the course and in the post-course online discussions. Summative assessment will involve a 4,000 word written coursework assignment (essay) given at the end of the face-to-face course, which will give the participant the opportunity to apply the themes presented on the course to their own working environment. This will need to be returned by four weeks following the face-to-face course. This course requires you to complete the application form and the additional information form below, and submit them alongside a copy of your CV. If you are applying to take this course for academic credit you will also need to complete section two of the reference form and forward it to your referee for completion. Please note that if you are not applying to take the course for academic credit then you do not need to submit a reference. Please submit your completed application and supporting documentation by email to ghd@conted.ox.ac.uk. This course is taught at FHEQ Level 7.
be a graduate, or have equivalent field experience in global health, diplomacy, or a related field (e.g. law, medicine, social or health policy, military, NGO etc). The course would also be suitable for allied health professionals and educators linked to global health diplomacy. satisfy the minimum required English language criteria set by the University.